Agriculture employs 70% of Cameroonian workforce, and virtually all farmers are involved in random agriculture and cut off from technology, costing millions to farming stakeholders, and sinking more people into poverty and hunger. Our cutting edge solution lies mainly on safe, efficient, sensitive and precise DNA marker technology, to clearly pinpoint useful information in seeds or farm location, in order to forecast farming output. We use this technology to provide direct services to farmers: pre-farming seed screening, on-farm pest/disease surveillance, and soil and water analysis. We carry out research on trait improvement of crops using Marker-assisted selection. In order to improve farmers' income, it is important not only to boost farming efficiency but market access as well. So we propose a market networking service, linking farmers to fitting consumers, aiming at ensuring faster sales and minimizing post-harvest loss. Our solutions are for farmers who are more ambitious, seeking to improve their efficiency and income, and are uninformed at the prospect of a technology-assisted farming. This initiative would enhance productivity growth in the cropping sector through better tailoring breeding products and increasing adoption of informed approaches through direct/tailored genetics-based services for farmers, as well as improving or tailoring market access for farmers. This will be achieved through investment in activities (services and research for development) that: 1. Improve regional knowledge and awareness of molecular-based genetic studies as they relate to crop production and profitability, 2. Provide genetic solutions (non-genetically modified) to enhance desirable traits in crops (and/or suppress undesirable traits) and crop productivity in general. 3. Build research capacity in molecular breeding through national and international promotion of this initiative and through local adaptation of science disciplines (bioinformatics, genetics, genomics, molecular diagnostics, and pathology) with respect to agriculture. 4. Provide a tailored solution linking farmers to fitting markets including families, restaurants, and institutions. 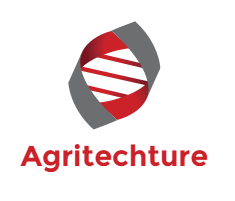 The main societal benefits of Agritechture are improved wellbeing of farmers and consumers via improved crop quality and quantity, improved economy and ultimately food security. From meta-analysis of biotechnology impacts, Agritechture should influence drop in pesticide use, rise in yields, and consequently rise in farmer income. Genetics enables precise identification of the desired traits in plants for more informed approach in breeding and cultivation of improved crops. Farmers will get more income from their activity due to improved productivity or reduced losses, while consumers benefit from products with improved quality. Farmers benefit from speedy and efficient diagnosis of diseases which enables timely and appropriate treatment. This will therefore increase the yield, and enable farmers save more money as they incur less loss and spend less on inappropriate treatment. A system improving the market access of farmers strengthens the local economy, leads to increased farmers cash flow from faster sales, and nourishes families at the same time. This solution essentially reduces post-harvest loss and provides fresher products to consumers at better prices, thus improving farmers and consumers well-being. Improving the competitiveness of farmers as well as the sustainability of farming in Cameroon by 2020 is the core initiative of our company, so we will set-up an affordable DNA testing facility with the apposite team by 2018. Through massive sensitization, a robust marketing campaign and networking with key organisations from 2018 through 2019, we will access farmers so as to enroll a minimum of 25 farmers per week. By the end of 2020, we are proudly increasing the annual income of 2000 farmers in Cameroon by at least 20%, with DNA testing and farmer-to-consumer interconnection. After successive product development milestones we will develop at least one marketable improved seed and start selling it by 2023. We work for farmers wanting to improve the productivity and income from their farms, and who are uneducated at the prospect or uninformed on how to implement a technology-assisted agriculture. We can help those ready to take steps toward genetics-assisted agriculture, decide what seeds would be best for them, detect/predict pests and diseases, link them to consumers, and get their productivity and income boosted. Registration of consumers (people, restaurants, industries) for farmer-to-consumer marketing service. Our main competitor is IRAD (Institut de Recherche Agricole pour le Développement ), a public crop research institution involved in sales of seeds. Our differentiating factors are our tailored on-farm/direct analysis, as well as tailored market networking system for improved market access of farmers. Partnership establishment and robust marketing campaign. I feel as though there are two people within me, both dominating at the appropriate time. One is serious and respectful towards people and work. The other is jovial, joking and full of life. The "two me's" live in a gentleman born on April 26th 1988. My main strengths are adaptability and the determination to get a job done and make things happen. I globally am a perfectionist, and a devoted target oriented person, full of spontaneous ideas. I constantly seek opportunities to develop new skills while strengthening those I already possess. Holder of a Masters in Molecular Biotechnology, a quite novel field, it is a little difficult to fit in local companies. Self-employment is the best way to deploy my skills and creativity, in order to solve problems. It is important for Africans to know that they can make their environment a perfect ground for themselves. I play football and I am passionate about technology, particularly IT. 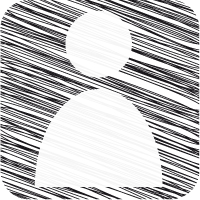 I currently work with a small start-up, AconnectGroup co-founded with three collaborators. The group has developed an online mall (www.myaconect.com), and an electronic currency for online transactions. In AconnectGroup, I serve as administrator, with main responsibility to build, manage, and validate products and services. Essentially, my role is project development through research and continuous improvement. AconnectGroup with the Myaconnect solution, was Runner-up of Anzisha Prize in South Africa in 2015, Winner of Tony Elumelu Entrepreneurship Prize in 2015. You conceived a great idea when you push it hard into execution. I support it by votes and comments. What to do is just don't give up even when you don't make in the competition. I love your idea and it's compliments my project of empowering farmers. I will love to have a chat with you. It's nice your idea! I like it. My idea is about providing better quality of water to agriculture ^^ if you could give a look I think you would like it. But congratulations it's a great idea! Success, man! Good idea! I have voted for you. I kindly requested that you read about my idea too and vote for me via this link https://www.entrepreneurship-campus.org/ideas/4/4345/ .Together we can create a better society. this is a great idea and i have voted for you. Please you can read and support my idea with your comment and vote. I like your project idea and am impressed. Thank you that you considered sharing it with us. I have voted for you. Your idea is so great. It's creative and perspective. It's really relevant these days so I think you will achieve success with it. I wish you good luck and vote for you. Please check out my idea and please vote for me too if you find my idea interesting. Hi, you have a good idea there THUMBS UP.